While the roots of the Bauhaus movement stem from Weimar, Germany, its influence has shaped many cities around the world — even in Canada. 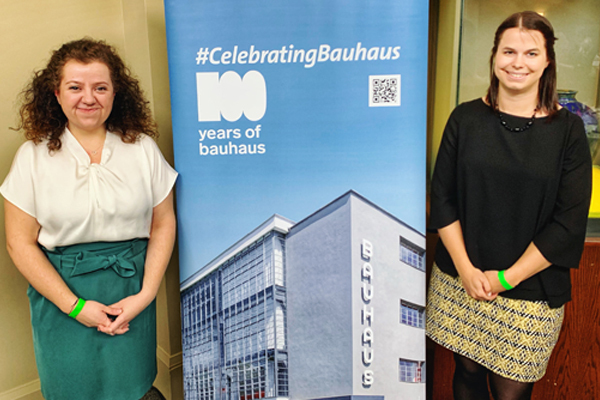 In Toronto yesterday (April 11) to highlight the Centenary of the Bauhaus along with the German National Tourist Office, Judith König of the Investment and Marketing Corporation Saxony-Anhalt said evidence of the school of design can be found in a gas station in Montreal and Toronto’s TD Centre, which were commissioned by Ludwig Mies van der Rohe, a pioneer of modernist architecture and one of the former directors of the Bauhaus school. To mark the 100th anniversary of the start of Bauhaus in 1919, more than 100 events and festivities are taking place in Germany this year to coincide with the celebration, including the opening of the Bauhaus Museum Dessau in September, which will feature 49,000 exhibits. Julia Dywelski, director of the German National Tourist Office, said while Bauhaus only existed for 14 years in all, its ideas extended far beyond Weimar, Dessau and Berlin. Overall, Dywelski noted travel to Germany increased by 5% in 2018 with 87.7 million overnight stays recorded by international visitors. By 2030, the European country expects the figures to grow to 121.5 million. Canadians also had a strong presence in 2018 with 698,945 overnight stays, reflecting a 3.4% growth year over year. By 2030, the destination predicts one million visitors from Canada to Germany. “As you all know Germany is in the heart of Europe and it’s very accessible from Canada with more than 100 direct flights per week depending on the summer and winter getting to Frankfurt, Munich and Berlin from any of the major Canadian hubs is very convenient,” she said. Tying into the overall theme, she said cultural tourism plays a very vital role for Germany. Beyond discovering the history and living examples of the Bauhaus movement, König said there’s plenty for travellers to experience in her region. “Saxony-Anhalt was home to people who influenced the history of the world such as Martin Luther and we have 60,000 cultural monuments and five UNESCO World Heritage Sites, this includes the medieval town of Quedlinburg, Eisleben and Wittenberg, the hometowns of Martin Luther, the Bauhaus and the Masters’ Houses in Dessau, as well as the beautiful Garden Kingdom of Dessau,” she said. Pictured at the event held at The Royal Ontario Museum are: Julia Dywelski, German National Tourist Office, represented by VoX International Inc.; and Judith König of the Investment and Marketing Corporation Saxony-Anhalt.